It’s been a turbulent few weeks in the Palace of Westminster and while Britons may all be bored silly by the sight of MPs arguing about what they think the people actually want, the drama shows no sign of stopping. Since MPs first rejected the prime minister’s negotiated Brexit deal back in January in a shockingly large defeat, we’ve seen MPs desperately try to take control of the parliamentary timetable. They have amended various business motions to try to carve out some parliamentary time (the government normally controls the agenda) to change the process by which parliament was considering Brexit. They wanted a series of different Brexit options (soft Brexit, hard Brexit etc.) to be put before MPs in what’s known as “indicative votes”. This would give them an opportunity to indicate which options they support in the hope of identifying a way out of the impasse. Back in January they were successful only in forcing the prime minister to come back to the House with a Brexit update sooner than planned. When the final deal was put before MPs for a second time on March 14, MPs once again rejected it, albeit by a smaller margin of around 150 votes. The government then let MPs vote on whether or not they wanted to leave the EU without a deal (they didn’t), followed by a further vote asking them if they wanted to extend Article 50, which facilitates the departure process, until the summer (they did). This still needs to be agreed with the EU though. We also saw MPs rule out having a second referendum, though this was largely because the People’s Vote campaign actually asked MPs not to agree to one right now, thinking that it may be better to do so later on. It’s all a bit confusing, made worse by the fact that divisions on Brexit fall both between and within the main political parties. We know that a majority of MPs don’t want the current Brexit deal negotiated by the prime minister, but that they also don’t want to leave without a deal. So there is a majority in the House who are willing to consider a further negotiated deal. The argument now is really about what that new deal would look like, and with the extension of Article 50, they have a little more breathing space to process it. Opposition and backbench MPs are still on the backfoot in this process and need the government to decide on the forthcoming parliamentary business, or next steps. It looks like MPs will be asked to vote on the prime minister’s deal for the third time before March 20. EU leaders will be meeting in Brussels on March 21, which would be the moment to ask for an extension. There is some controversy about the third “meaningful vote”, given that, ordinarily, parliament would not be able to vote on the same thing more than once. But these are no ordinary times and it will be up to the speaker of the house to decide whether or not to allow such a vote to go ahead. As we’ve seen several times already, he doesn’t shy away from taking controversial decisions on Brexit. The government is hoping that more MPs will come on board to support the deal in a third vote. If they did, the prime minister would go to the EU to request a short “technical” extension of the Brexit deadline. MPs have already agreed to that to enable all the necessary legislation to be passed. A Withdrawal Agreement and Implementation Bill would then need to pass through the Commons before the extended summer deadline. If the third vote is lost things become more complicated. It may be that the government will allow MPs to have a further debate on the sort of Brexit they’d like to see, or that MPs will continue to amend a government motion to propose alternative Brexit options. But we won’t really know for sure until we get a formal statement from the government about forthcoming business. 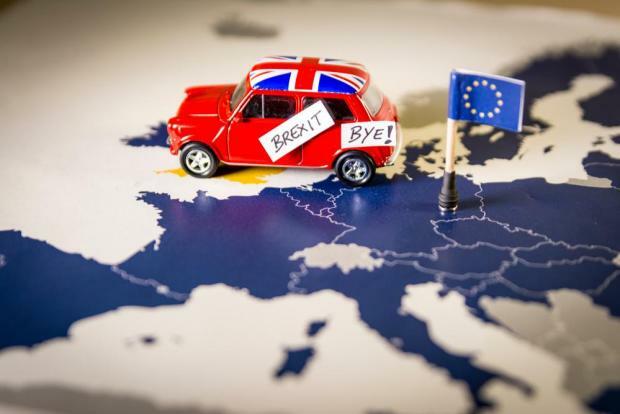 One other thing that will almost certainly happen is that the UK will have to take part in the forthcoming European Parliament elections which are due to be held in May – not something which any political party has really planned on happening.